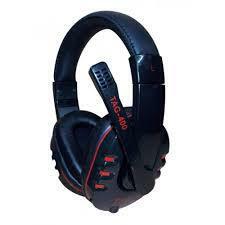 A headphone is a very necessary equipment for your PC but nowadays good quality headphones normally come at high rates. So, I have under the lens some low range Headphones with good quality features. Intex always came up with cheap electronic equipment and this time too they proved that they are best in this. 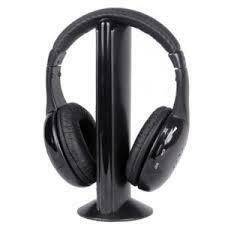 Intex Jaunty Headphone is a USB Based Headphone which can be used with your PC through any USB Port. You would ask why I don't prefer to go for any another simple audioline headphone? The answer is simple - 'Clarity". USB Headphones comes with awesome clarity in their sound and Jaunty is the best at it. 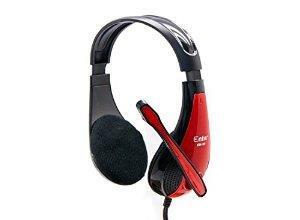 This headphone comes with a mic too, which means you can use it for chatting or can easily record your voice. Jaunty comes with a 2.1 meter long USB cable which means you don't have to always sit near the PC to listen through your Headphone. You can easily plug-in the headphone in the front panel of the PC and sit about 2 meters away from your PC. I personally use this product and I am satisfied with it. It comes with very good bass quality and best sound clarity even at full volume. Fight between Enter and Intex is just like Samsung and Apple. Enter comes up with high-end specifications whereas Intex comes up with an awesome clarity and looks. Enter EH-95 wired headphone also gave tough competition to the Intex headphone. EH-95 comes with a speaker size of 40 mm which have impedance of 32 ohms which gives best-in-class quality. It has a frequency range of 20-20000HZ. EH-95 comes with a long cable of 2.2m which is sufficient but sometime forces you to sit near your PC. If you want to use this headphone then you have to plug it in your audio line. This one can be called a gaming headphone because it comes with heavy bass and comfortable ear cushions for long-time usage. USB 400 comes with USB output means you can just simply plug it in the USB Port and start using it. It also comes with an Inline Mic which is a plus point of headphone. This is a plug and play device which is compatible with Windows, Mac OS and Linux too. You have to just plug it in and you device will be ready to use. If we are talking about headphones for PC then how can we ignore the Numark's HF 125 DJ Headphone. As it is a DJ headphone it comes with high quality bass and best in class sound. It supports Flexible 7-position which gives you comfort with quality. Mylar Speakers Drivers give you a high quality sound output. It also comes with padded headbands and ear cups.